Here is s picture of Carl's brand new APEX steel hardtail. 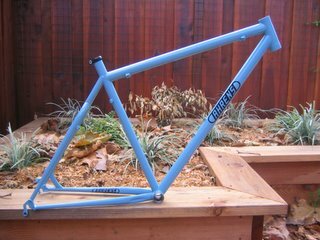 This frame is built with a unique combination of Reynolds 853, Columbus Zona and Tange Prestige tubing. Geometry is setup for Manitou's new R7 fork with 100mm travel.